Recently, an insightful reader asked whether a certain styling product advertised as “water-soluble” could possibly be so. The specific reason for the inquiry was the presence of petrolatum and mineral oil near the top of the ingredients list. Of course, my reflexive response to this question is "no." Petrolatum and mineral oil are both decidedly hydrophobic materials, and they are not, nor will they ever be, water-soluble. However, this product is definitely described in the marketing material as being water-soluble, so it seemed worthwhile to give this a closer look and see what answers may be found in the chemistry of the formulation. The product in question is Curlisto's Unruly Paste, recommended for use on dry hair to provide curl definition, shine, and to tame frizz. It is described on their website as being non-sticky, non-oily, and "water-soluble." It is possible to glean a good bit of useful information about Unruly Paste by analyzing the ingredients list. Unlike many similar types of products, this is a water-based styling crème. It contains humectants (propylene glycol), a water soluble fixative polymer (VP/VA copolymer), a significant percentage of higher molecular weight oils/waxes (petrolatum, mineral oil, and ozokerite - a mineral wax mined from the earth), a non-water soluble silicone for shine and smoothing, and a large quantity of emulsifying agents. Micelles are aggregates of surfactant molecules in water, comprised of an exterior shell of the hydrophilic portion of the surfactant and a hydrophobic center containing the non-polar segment of the surfactant. In this product, the surfactants form micelles that contain the mineral oil, petrolatum, and/or ozokerite in their core. The nonionic emulsifying agents prevent coagulation and phase separation of the waxes by a mechanism known as steric stabilization. This is where the hydrophilic portions of the surfactant molecule extend out into the aqueous solution and form a bit of a tangle around the micellar aggregate. 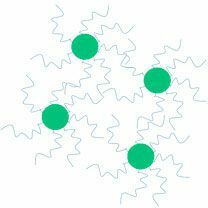 This tangle physically prevents micelles from coming together and joining to form bigger micelles, a phenomenon that would eventually destabilize the system and result in phase separation. Technically, the non-polar waxes are solubilized or dispersed into the water using these emulsifying agents and are water soluble while in these aggregate forms. To reiterate, they are only soluble by nature of their containment within the interior of the micelles formed by the surfactants. (You may recall that we have had similar discussions about amodimethicone, as used in certain shampoos and conditioners.) 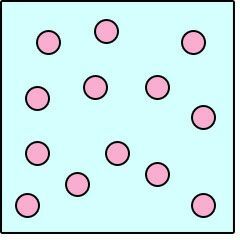 These types of mixtures are called emulsions, because they are not solutions by proper definition. Once the product is applied to the hair, the micellar structures are disrupted, the waxes are deposited onto the surface of the hair, and the water from the product evaporates into the air. Since this is a leave-in product, the surfactants remain on the surface of the hair even after the water evaporates, but they no longer serve much purpose except to perhaps attract water molecules to the hair from the environment. The question is when hair that has been treated with this crème is immersed in water, will the emulsifying agents somehow re-form the micellar structures and re-absorb the waxes into their cores, allowing them to be rinsed away? It is my opinion that this scenario is highly unlikely, as the original process of preparing the product relies heavily upon proper order of addition of ingredients, judicious mixing and agitation, as well as the application of heat in order to form these types of structures in the first place. However, it is possible that if one were to use a very mild shampoo or even a light conditioning product and gently agitated the hair, that the residual emulsifying agents on the hair might be able to aid in removal of the waxes from the surface of the hair. Generally, one would need to use quite potent shampoos to remove petrolatum and mineral oil from hair, and it would probably be necessary to rinse and repeat. Thus, it would seem possible that this method could alleviate some of the accumulation that inevitably occurs from use of typical products that rely upon these types of waxy ingredients. “Water-soluble,” though, seems to be a bit of a marketing stretch.